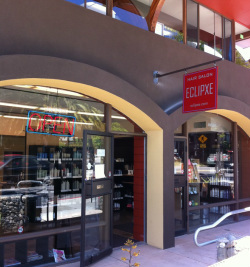 Exlipxe hair salon is an American style hair salon.We are all independent hairstylist. If you would like to have hair service from me, please ask "SUMIE". We are locatied at Martin Luther King Jr Way and Berkeley way. The building is next to Trader Joe's. Walking: About 10min from Downtown Berkeley Bart Station. By Car: Take 80 East towards University Avenue exit in Berkeley.